Queen Victoria (1819–1901) was one of Britain’s longest-reigning monarchs. She took the throne, aged 18, and ruled until her death 63 years later – a period known as the Victorian Era. Victoria was a popular queen and her reign was a time of great advancement in science, industry and communications. Under her rule, the British Empire also doubled in size. Learn about this iconic queen and use our printable resources below to discover more. Queen Victoria was often called the ‘Grandmother of Europe’ because eight of her nine children married into European royal families. These ties also helped to keep peaceful relations with Europe. By the time of her death, Victoria had 42 grandchildren and 37 great grandchildren. Lots of places around the world are named after Queen Victoria, including the Australian states of Queensland and Victoria, and Africa’s Victoria Falls and Lake Victoria. Victoria’s husband Albert brought many German Christmas traditions to Britain, such as decorating Christmas trees and sending Christmas cards. Queen Victoria was born Princess Alexandrina Victoria at Kensington Palace in London in 1819, to Edward, the Duke of Kent, and Princess Victoria of Germany. Her mother called her ‘Drina’ but she preferred to go by her middle name. Victoria’s father died when she was just eight months old, and she was raised by her mother and various tutors. She had no siblings and very little contact with other children. Instead, her best friends were her wooden dolls (of which she had over 130!) and her King Charles spaniel, Dash. Victoria enjoyed painting and drawing, and she kept a journal for most of her life. She also spoke fluent German (her mother was German) and had knowledge of French, Italian and Latin. At birth, Victoria was fifth in line to the throne and unlikely to become queen, but with the death of her father (and her cousins dying in childhood), she found herself taking the throne in 1837 at the age of 18, when her uncle William IV died. Her coronation took place at Westminster Abbey the following year. As a young queen, Victoria had little experience of ruling, but she befriended the Prime Minister, Lord Melbourne, who guided her on political matters. Just before Victoria’s seventeenth birthday, she met her first cousin, a German prince named Albert. She was just a few months older, and the pair became friends and soon fell in love. When Victoria took the throne, she knew that Albert couldn’t propose to a queen, so she proposed marriage to him instead! They married in 1840, both aged 20, and went on to have nine children together. Albert and Victoria were very close and Albert was a great friend, adviser and confidante during her reign. Victoria made Buckingham Palace their home (the first English monarch to do so) but had other palaces around the country too, including Osborne House on the Isle of Wight. In 1851, Albert helped Victoria to organise a great exhibition in London’s Hyde Park. A huge building called the Crystal Palace was built to showcase the world’s latest developments in arts and science, and to celebrate recent discoveries and inventions, including the building of the railways. Albert tragically died from typhoid fever in 1861 when the couple were just 42. Victoria was devastated and wasn’t seen in public for some time. She dressed in black as a sign of mourning for the rest of her life – nearly 40 more years. Some people questioned her ability to rule, but on return to public life she upheld her duties with renewed vigour. During Victoria’s reign, for example, the British Empire doubled in size to include Australia, New Zealand, Canada, South Africa and India. 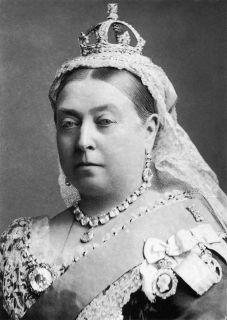 Victoria became the Empress of India in 1867. Victoria died at Osborne House on the Isle of Wight in 1901, aged 81. She was later buried beside Albert in a royal tomb near Windsor. At Victoria’s request, she was laid to rest with Albert’s dressing gown and a plaster cast of his hand. 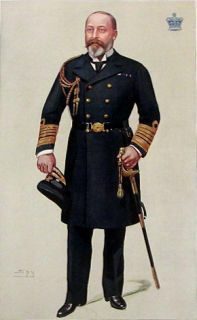 Their eldest son Albert Edward went on to take the throne (as King Edward VII) and the peaceful and prosperous Victorian Era was officially over. Queen Victoria loved to write letters, and many of them are still around today. Can the children imagine they are Queen Victoria, and write a letter to her son Edward, the future king, about a visit to Osborne House? There were huge changes to British life during Queen Victoria's reign with the both the Industrial Revolution and the expansion of the British Empire. Use this worksheet to compare and contrast Britain in 1837 and 1901 (choose from blank or lined versions below). The kids will enjoy this fun worksheet asking them to recognise the flags of the countries that were part of the British Empire during the reign of Queen Victoria. You could try this as a group or class activity to see who can get the most correct answers! Here's an interesting worksheet to get the kids doing a little research about Queen Victoria. Can the children list Victoria's children, who they married and their children in the table, and then write about why they think she was known as the 'Grandmother of Europe'? My daughter is completely fascinated by Queen Victoria at the moment. Buckingham Palace has worked out that Queen Victoria reigned for 23,226 days, 16 hours and 23 minutes, taking into account 63 years and 15 leap days. Victoria became Queen of Great Britain at the age 18. With our step by step guide children can learn to draw Queen Victoria as a young queen. Here's an interesting worksheet that practises historical research and geography skills too. Can the kids mark the countries that formed part of the British Empire at the start of Queen Victoria's reign and those that formed it in the end? One of our foldable Queen Victoria booklets would be a good addition to any lapbook on Victorian history. You can find a guide to folding our origami booklets here. Our Queen Victoria colouring page features Victoria as a young queen. She loved to dance at this time and her clothes would have been much more colourful than the widow's black of her later years. This Queen Victoria comprehension is a great way to learn a little history whilst practising reading comprehension skills! The kids need to read the text then answer the questions at the end. We've chosen 4 events from the reign of Queen Victoria (her coronation, wedding, opening Crystal Palace and her funeral) and turned them into newspaper writing prompts with pictures for inspiration at the top of each page. These Queen Victoria fact posters make a brilliant centrepiece for a Victorian history display. Each poster has interesting facts about the Queen and her long reign, alongside some fascinating portraits and paintings. There's a lot to learn about Queen Victoria and her long reign in Britain, but our factsheet is a good place to start your studies on this remarkable monarch. Here's a simple family tree for Queen Victoria, dating back to King George III. Print and use in displays or add to a history lapbook. Queen Victoria and Prince Albert had 9 children, and they're all shown on this family tree. We also have another family tree showing Victoria's family going further back in time. Many people believe that having strong female monarchs such as Victoria and Elizabeth II has helped the British people become comfortable with women in power. Can the children write some more text about what makes Queen Victoria an inspirational woman? Queen Victoria would certainly be an interesting person to interview, and this fun worksheet lets the kids pretend they can ask her questions for a TV talk show.. Choose one of the many interesting events in Queen Victoria's life and write about it using this newspaper writing prompt. Victoria reigned over a long period of huge social and technical change. Our Queen Victoria notebooking pages are a good way for older children to document their research on the queen that ruled over this interesting period. Our Queen Victoria poster is a useful addition to any classroom display on Victorians or perhaps it could be used as a front cover for a project. "The important thing is not what they think of me, but what I think of them." Print and display this poster featuring a quote by Queen Victoria, one of Britain's greatest monarchs. Learn about the life of Queen Victoria by watching this pdf slideshow on your computer screen or whiteboard. There are ten slides taking you through her eventful life and reign. Each slide is set to 30 seconds but you can click the screen to pause of move on. Our Queen Victoria story paper has lots of uses. It could of course be used for story writing but how about colouring the Queen and describing her? To make it even more versitile we have 2 versions lined aand with handwriting lines. This Queen Victoria story paper is useful for all kinds of writing projects and for recording your research on this remarkable monarch. Our Queen Victoria worksheet is good for younger children who are not ready to write much. It will guide them through finding out some of the key facts about Queen Victoria and her reign. This simple worksheet is a great way to get younger kids learning about Queen Victoria. Can they find out a few simple facts about her, then write about if they would like to have met her and what they would have discussed? Our Queen Victoria writing pages can be used for report writing or perhaps a character study. To make them even more versitile we have colour and black and white versions. Queen Victoria wrote 43,000 pages of journal and diary entries throughout her life! Can the kids choose one event from her life and describe it in this diary? Use this printable together with our longest reign worksheets for some counting and calculation practice! Remember, on 9th September 2015 Queen Elizabeth II will take over from Queen Victoria as our longest reigning monarch.